Used these on some very warm sweaty rides in the hills, did they fog up?, nope! Clarity is good, protection is excellent, no dust getting around the lens and into your eyes either. Very light and comfortable to wear for long periods of time. 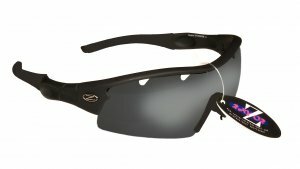 I got these to wear while cycling to and from work in the summer. They dont fog up, keep the bright sun out your eyes and stop insects from going in your eyes as well. The only thing they are missing is a strap, apart from that they are great. They look way more expensive than they are. They look pretty cool as well.